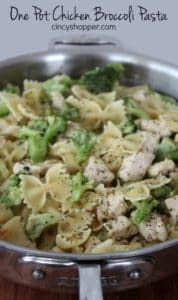 If you are looking for an easy dinner idea this One Pot Chicken Broccoli Pasta meal will be great! 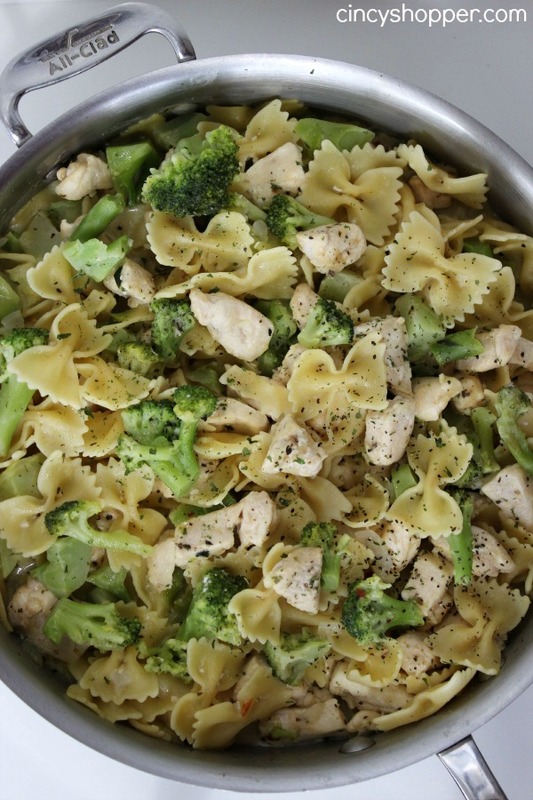 Chicken Breast, Broccoli, Bow tie Pasta flavored up with Parmesan Cheese. 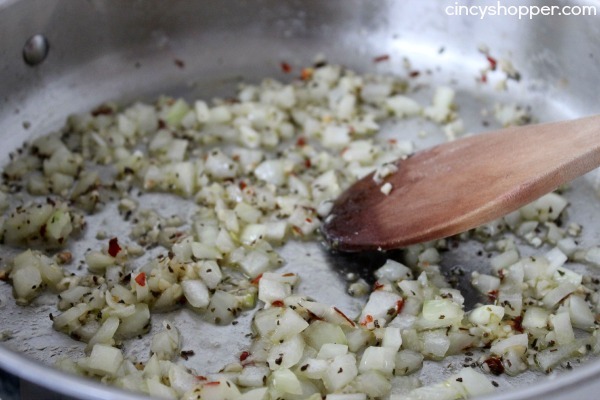 Super simple meal made in just one skillet. Making meals during the week when everyone is coming and going can sometimes be a challenge. I have made our Slow Cooker Chicken Tacos and also our Slow Cooker Meatloaf that the family loves just one to many times this past month, ha ha. 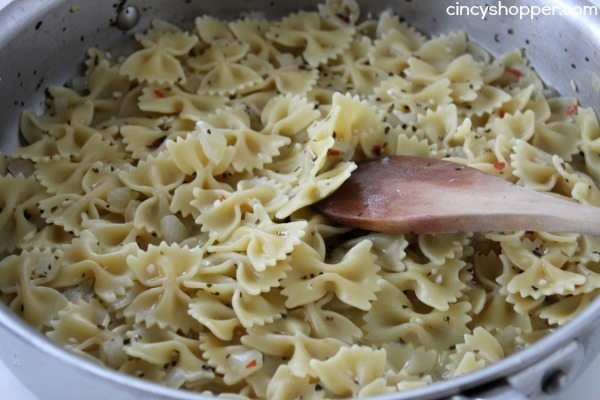 The family was asking (ok… maybe begging) for a new dish. Having a quick and easy no mess meal just seems perfect. 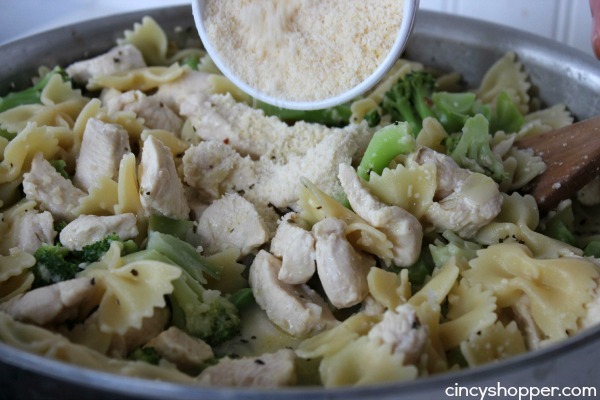 This One Pot Chicken Broccoli Pasta worked out great for our busy evening dinner this past week. 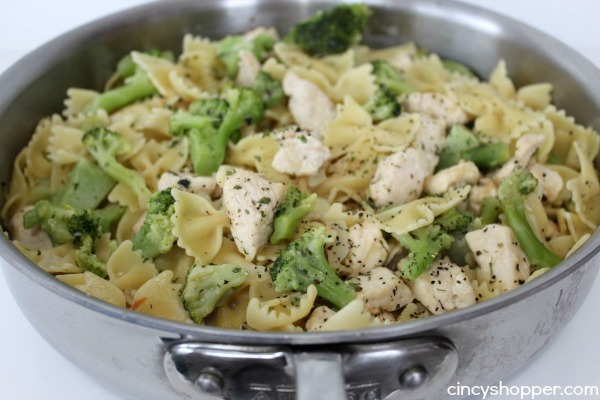 The whole dish cooked in one skillet (no extra dishes to clean) in about 30 minutes time. 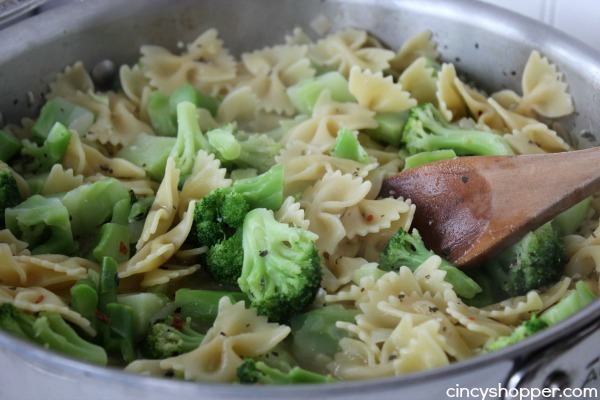 I have held out quite awhile on making these special one pot meals. The concept seems believable but I was a bit worried on how well everything cooked all in the same pan. 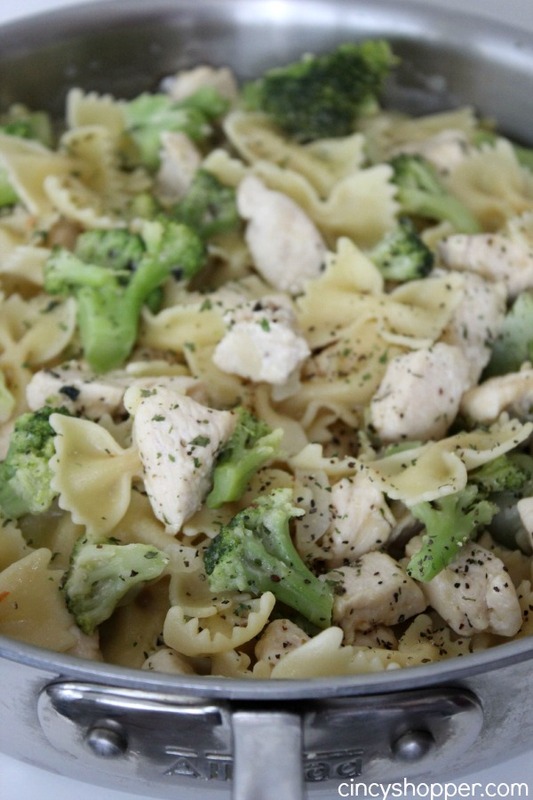 To my surprise these one pot meals will become a staple around our home. 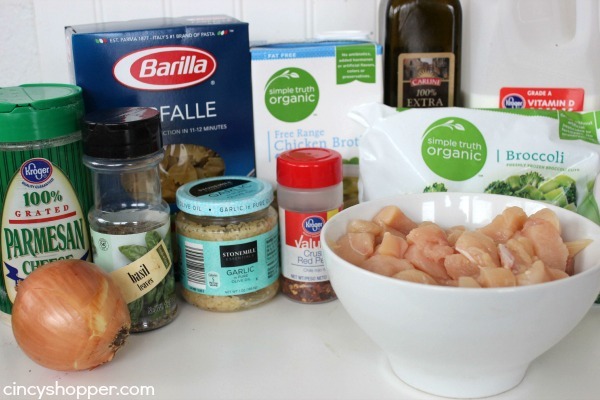 The chicken tasted wonderful, the broccoli cooked up well as well as did the pasta. 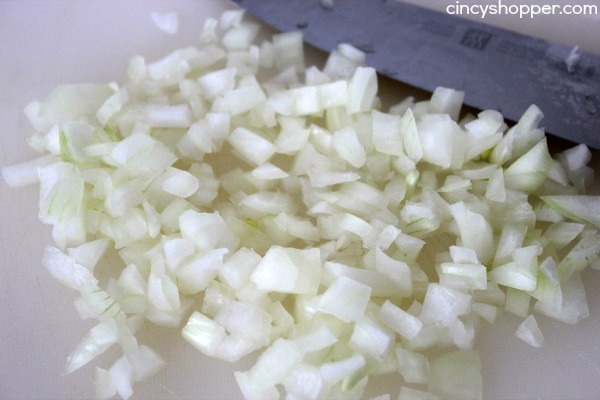 The flavors from the onion, red pepper and Parmesan cheese all blended so well. 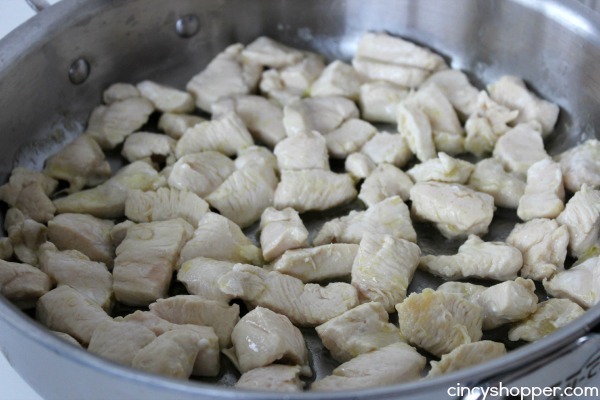 Cut chicken into 1/2-1" pieces. 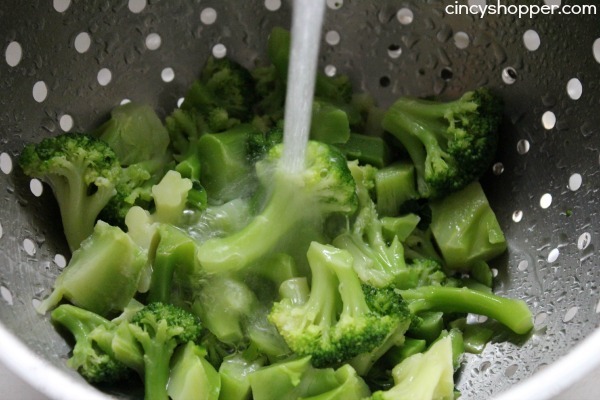 Your directions do not say to drain the pasta and broccoli, but that seems like there would be alot of liquid. Please clarify as this recipe sounds like ut would be delicious. Thanks.